It doesn’t make sense to carry a full pack on a day hike. The extra weight and bulk of the pack would become a burden. Day packs carry the essential gear and their smaller sizes are appealing. 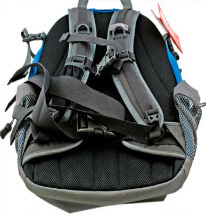 Day packs range in size from a little over a thousand to about 2500 cubic inches. Choose a pack that is large enough for the extra gear that you may need, such as a raincoat. Most day packs are made for school use; they have multiple compartments and places to organize small items. They’re ideal to carry fishing tackle, photography equipment, food, water and an extra fleece jacket. Day packs lack rigid frames and fit more easily into an airline’s carry on compartment. Use care in packing a day pack with a heavy load. If this load is unbalanced, your back will soon become uncomfortable. My day pack has a hip belt that is well formed; it also has thick padded shoulder straps. There are extra places to lash on added gear. Day packs are usually made in a tear drop shape. 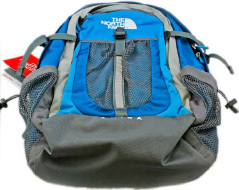 When purchasing a day pack, look for following features: durable bottoms because they better support the heavier weights, and secure shoulder straps because it is here that a day pack is most stressed. Look for extra reinforcement where these straps connect to the bag. Padding at the back of the pack keeps you from becoming poked by the small objects in your pack. There should be additional lashing points to tie on extra gear. Compartments should be large enough to organize both your large and small items.